In guitar music, especially electric guitar, a Power Chord (also fifth chord) is a chord that consists of the root note and the fifth. Power chords are commonly played on amplified guitars, especially on electric guitar with distortion. 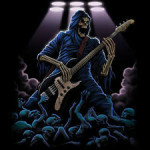 They are a key element of many styles of Rock and especially Heavy Metal music. Dropped Guitar Tunings lower the sixth string, dropping the lowest E string of the standard tuning. Some drop tunings also lower the fifth string (A note in standard tuning). A drop one tuning lowers the pitch by one full step. Some of these may require a baritone guitar due to the string tension required for extremely low notes. Others can be achieved using a capo and/or a partial capo. 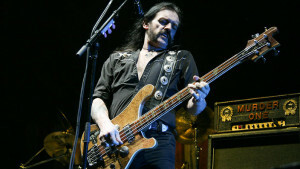 In many forms of Heavy Metal and Hard Rock, as well as some forms of Jazz, Fusion and Punk, two bass drums are used, or alternatively two pedals on one bass drum. One of the first people to popularize the use of the double bass drum setup was jazz drummer Louie Bellson, who came up with the idea when he was still in high school. Double bass drums were first used initially by jazz artists such as Ray McKinley and Ed Shaughnessy in the 1940s and 1950s, and popularized in the 1960s by rock drummers Ginger Baker of Cream, Mitch Mitchell of the Jimi Hendrix Experience, Keith Moon of The Who and Nick Mason of Pink Floyd. Guitar Distortion and overdrive are “gain” effects used to alter the sound of amplified electric musical instruments, most commonly with the electric guitar but also with other electric instruments. Blues guitarists playing electric blues originally obtained an overdrive sound by turning up their vacuum tube-powered guitar amplifiers to high volumes. 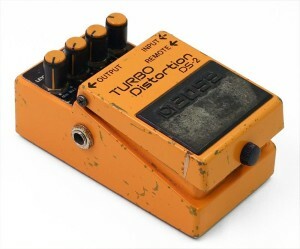 While overdriven tube amps are still used to obtain overdrive in the 2010s, especially in genres like Blues and Rockabilly, since the 1960s, a number of other ways to produce distortion have been developed, such as distortion effect pedals. Alternate picking is a guitar playing technique that employs strictly alternating downward and upward picking strokes in a continuous run, and is the most common method of plectrum playing. 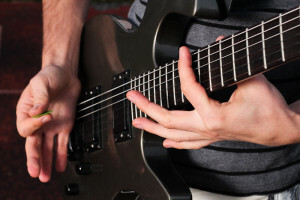 If this technique is performed on a single note at a high speed, then it may also be referred to as Tremolo Picking. 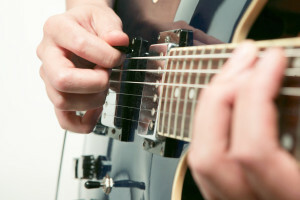 A Guitar Solo is a melodic passage, instrumental section, or entire piece of music written for a classical guitar, electric guitar or an acoustic guitar. 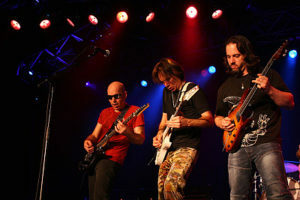 In 20th and 21st century traditional music and popular music such as Blues, Swing, Jazz, Jazz Fusion, Rock and Metal guitar solos often contain virtuoso techniques and varying degrees of improvisation. Guitar solos on Classical guitar, which are typically written in musical notation, are also used in classical music forms such as Chamber music and Concertos. A Heavy Metal Gallop is a beat or rhythm typically used in Metal songs, eighth-sixteenth-sixteenth (eighth notebeamed sixteenth notes), played on the rhythm guitar or drum kit (strum or drum pattern), mostly using a double kick pedal. 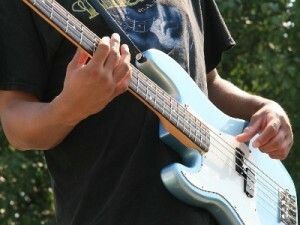 Palm Muting is a playing technique for guitar and bass guitar, executed by placing the side of the picking hand below the little finger across the strings to be plucked, very close to the bridge, and then plucking the strings while the damping is in effect. This produces a muted sound. The name is a slight misnomer, as the muting is performed by the side of the hand, not the palm.